NOTE: These proposed districts were never adopted. They were one of many proposed district boundaries. 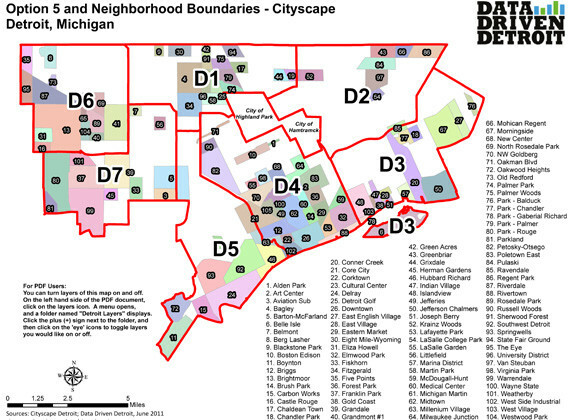 Data Driven Detroit created a map of their proposed plans for the new City Council Districts in 2011 along with the “neighborhoods” cataloged by Arthur Mullen of Cityscape in 2003. These are not the city council districts that were officially chosen, nor are the neighborhoods set in stone or widely agreed upon. This map is an important representation of how organizations and institutions with power and influence change and shape discussions about the city. 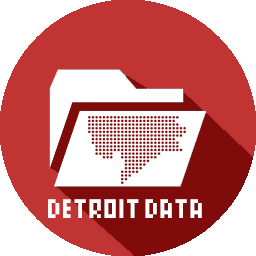 Does every area of Detroit need a name? Does it make more sense to talk about the city by District, neighborhood, school catchment area, or another distinction? Who decides these distinctions?